Fine Catch Bistro is a premium brand of ready-to-eat Real Blue Crab wild caught in America, and sold exclusively in the United States. Given its natural provenance, it is a free of preservatives and Trans Fats product. 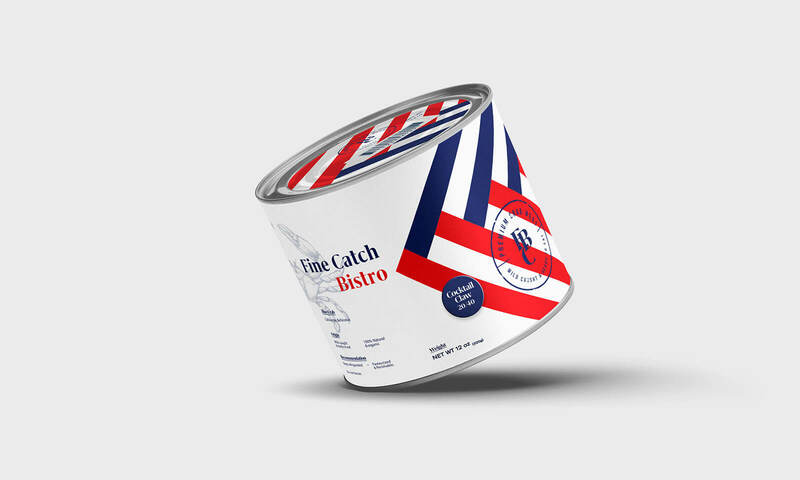 Because Fine Catch Bistro is sold exclusively in the United States, it was essential for the graphic identity to be attractive for the American audience, and to emphasize the product’s natural attributes and high quality. Since FCB is a premium product, we proposed a Serif logo with a highly nationalist color palette: red, white, and blue; we also designed a stamp under the same concept. In addition, a handmade illustration of a crab in great detail was incorporated. Different font styles and weights were used to prioritize the information on the label.